Saturday, October 22 at 3 p.m., Northtown Books welcomes graphic novelist Jonathan Case to talk about and sign his new deluxe hardcover version of Dear Creature, which blends horror, romance, Shakespeare and humor. 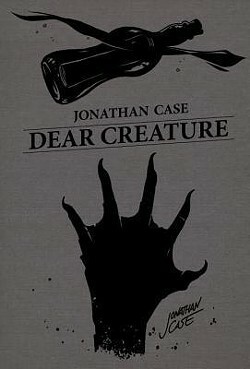 Case has created many works for Dark Horse Comics, including Green River Killer, The Guild, House of Night, The Creep, and Eerie. He's also worked on DC comics' Batman '66, and was responsible for the award winning book The New Deal, a comic crime spree set in the 30s.